HyperX is becoming a one-stop peripherals shop. Several months ago, HyperX was still predominantly a headset company. 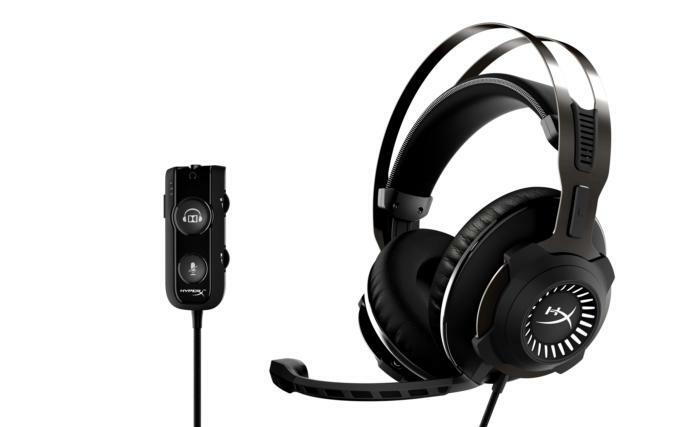 Sure, Kingston also made sure to slap the HyperX logo on sticks of RAM, but it was the Cloud line of gaming headsets that garnered the most attention. The release of the HyperX Alloy keyboard last October, however, heralded loftier aims. On Tuesday at CES, HyperX took that a step further: With the announcement of its new Pulsefire mouse, the company's now officially a one-stop shop for gaming peripherals. It’s a pretty safe design. Despite the black-and-red color scheme, the Pulsefire seems like an obvious take on Razer’s DeathAdder—same scooped shape, textured side, and those flanged mouse buttons. A DPI switch also sits behind the mouse wheel, but it’s worth noting that the Pulsefire takes the same “no software” approach as HyperX’s other peripherals. That means you’re stuck with the four default DPI settings: 400, 800 1600, and 3200. Zowie fans might feel right at home, though. Judging by those numbers I’m guessing the Pulsefire has an Avago 3310 sensor inside—the same one Zowie’s been using for the last couple years. 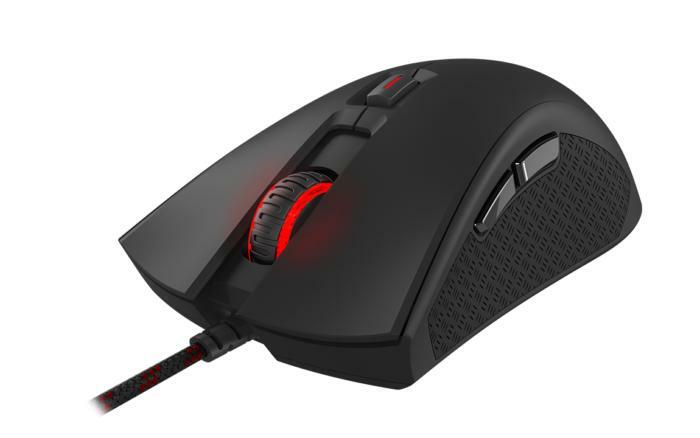 The Pulsefire also has a price reminiscent of Zowie’s products: At $50, it's one of the cheaper gaming mice on the market and slots in just under the $60 price of Zowie’s EC series. Availability begins in April. This new mouse isn't the only HyperX announcement, though. A handful of new Alloy keyboard models and an upgrade Cloud Revolver headset also got a mention during CES. The keyboard news isn’t anything fancy. When the Alloy launched last fall, only one model was available—red backlighting with Cherry MX Blue switches. Call it the proverbial toe-dip in the water, as HyperX will now flesh the Alloy out and offer other Cherry switches. Cherry MX Brown and MX Red models are on the way this month, as well as a Cherry RGB model in Q3 2017. 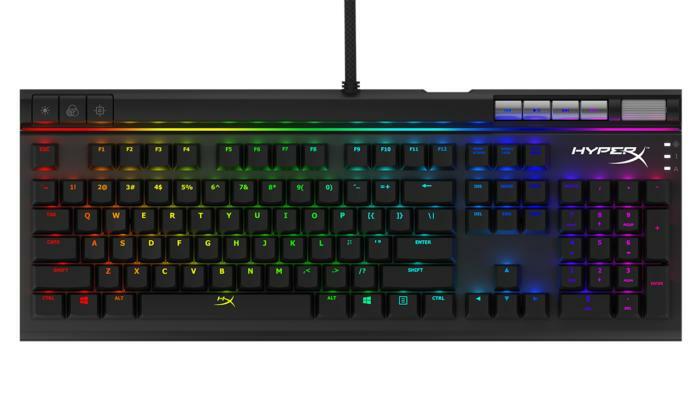 Worth noting: The RGB model also features dedicated media keys. As for the Cloud Revolver, it’s getting a brand new Cloud Revolver S spin-off that features “plug-and-play Dolby 7.1 Surround Sound.” This upcoming launch follows the same path the original Cloud followed—analog model the first year, USB-enabled 7.1 model the year after. Hopefully the Revolver S also folds in some of the other benefits of USB headsets. I wasn’t enamored with the original Cloud Revolver, nor am I a big fan of headset 7.1, but this second headset will be worth a look if it adds features like microphone noise gating. Availability begins in February, and the headset will cost $150. It’s a big year for HyperX. The Alloy already impressed me—it’s a damn fine keyboard, coming from a company with no keyboard background. If the Pulsefire can do the same, then HyperX will have one of the strongest lineups in the industry, and one that's priced low enough for budget builders, too. That’s an excellent position to be in.